“There’s no doubt about that,” quickly agreed his daughter Ajita Kadirgamar. “It was a job absolutely tailor-made for him. No one before him had done such a good job and it is unlikely that anybody else ever will,” she added with confidence. His network was such that he did not need Foreign Ministry machinery to get through to any eminent diplomat or politician in the international arena. 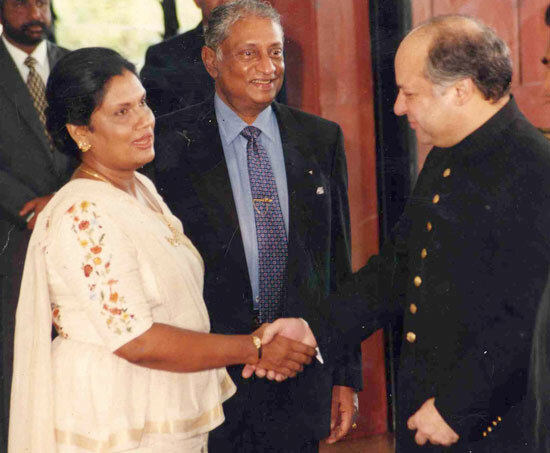 The prudent way LK formulated the country’s foreign Policy while adhering to international laws gained much praise and got the LTTE listed as a terrorist organisation in many foreign countries. This was considered as his greatest achievement. 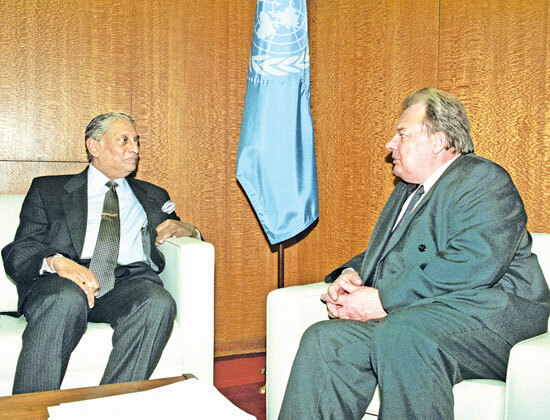 Meeting with Hennadiy Udovenko of Ukraine, President of the 52nd session of the General Assembly on October 3, 1997. “People remember him largely for that. And it was greatly due to his ability to speak that he could convince the world,” she said. 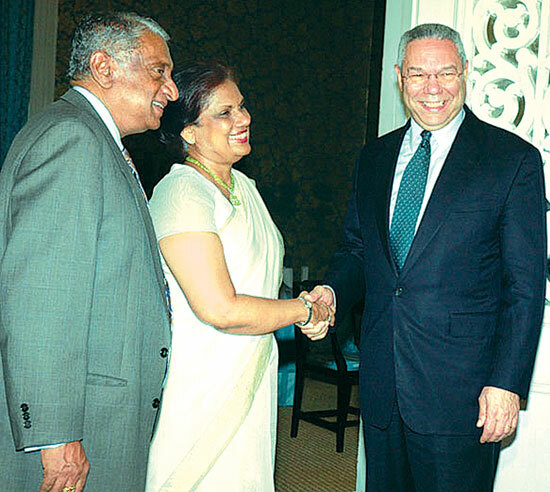 However, Ajita said she wasn’t a fly on the wall during his tenure as Foreign Minister. Ajita left the country in 2002 while her father was still serving as Foreign Minister. But Ajita regretted that the practice did not continue. “Tight security and the second marriage distanced her from her father in later years of his life. “But I can understand he couldn’t just get in the car and go anywhere. Everything was a big operation and he didn’t want to put us at risk. You know coming down the lane to visit us would have created much hassle. The one time that he came before we left, [ For US] what a big ‘ha ho’ that was! Imagine every time he came, having to do that. So that was a great pity and not only us, all his friends, nobody had access to him in the end,” she said. Today, 11 years after her legendary father’s death, she feels remorse for not having tried to re-start the ‘conversation’ from where it ended. Another reason why LK was unable to maintain close contacts with others was because he was not tech savvy. Ajita, in the second edition of her book, had included an interview with personal security officer of the Foreign Minister M.H.Marso, who had revealed that LK never used a cell phone. “Emails were available, but anyway he was not a tech person. After speaking to Marso only, it really confirmed to me. My father didn’t carry a cell phone. I don’t think he knew how to use a cell phone. He never got onto a computer. He could type one finger at a time.... So forget about emails!” she went on. LK strived hard for the democratic rights of the Tamil people as well and constantly grieved the subjection of the Tamil people to LTTE authoritarianism. But still, why wasn’t he generally considered a hero of the Tamils, as what he fought against was terrorism, not Tamils, the Daily News questioned. “It was. What he fought against was terrorism. This was a general misconception. But if you think back on it, 30 years ago initially Prabhakaran was everybody’s hero. Tamils even if they did not say it openly, they wanted Eelam. Even Colombo Tamils supported the idea. So he was sometimes seen as being against Tamils. It is like the Muslims now. Even we often think every Muslim is ISIS, but it is not true. It is very much a similar situation. So we tend to put things in a box,” she explained. As all Sri Lankans were aware, he was very firmly committed to a unitary state, a state within which all communities would be able to live in harmony and in unison. Her father was committed to an absolutely worthy cause. A noble man he was, and was by no means equal to politicians of the present day no matter whether they were UNP or SLFP. “So if at all he was a UNPer, it would have been in the 50s, 60s and 70s where the party politics were different,” she stressed. She said his father might have fit into the UNP, during JR’s or his brother HW’s time. “The ideology and mentality of politics are totally different now,” she added. Had LK lived today, what would have been his reaction regarding war victory, the Daily News asked. “He would have wanted the war to end, but not the way it happened, not with the kind of loss of life....,” she said, her voice so firm. 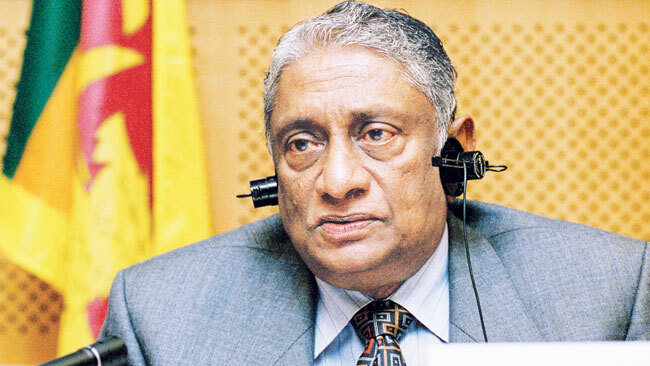 So great was his popularity towards the end of his first term as Foreign Minister, LK stood out in the Cabinet as the best choice for Prime Minister. “Even in politics towards the end, they were sidelining him, because by that time the talk was that he would be a good Prime Minister. At the time of his death he didn’t have close ties with govt officials. And I don’t know whether I mentioned it in the book up until the last minute I think there was a distancing between him and the government. It was all organised. This is how politics work,”she added regrettably. 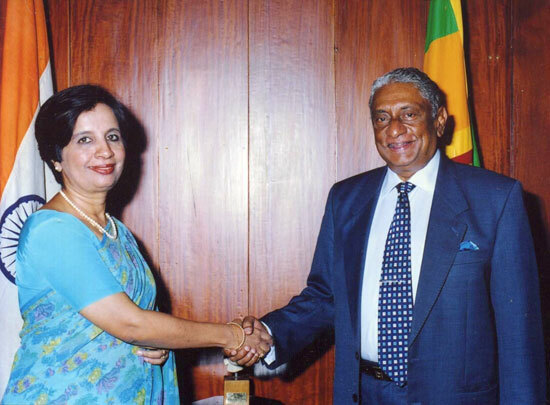 However, Ajita stressed that former President Chandrika Bandaranaike Kumaratunga (CBK) wanted him as Prime Minister definitely, but she was under severe pressure. “She [CBK] wanted him definitely, but there was much pressure from the others and up until the last minute he had been led to believe that he would be the next Prime Minister, until they had to give it to the other guy,[MR],” she said. “First of all people were saying he should have been PM. But in a majority Buddhist country I don’t think it’s going to fly no matter how great the man is,” she said. But it was the very Sinhalese who loved him most? The Daily News asked. More than a decade has passed since the incident. LK is no more , but his mission was to establish a country where all communities could live in harmony as Sri Lankans. Even though some Tamils had referred to him as a traitor, he was definitely not, Ajita noted. He was just faithful to the job he was assigned to do. She confessed that, she in many ways felt sorry for her father, as he was often misunderstood. She added that many good things he did for Tamils too had gone unnoticed. His great love for the country was vividly displayed through the speech he made at the Oxford Union on March 18, 2015, at the unveiling of his portrait. And Ajita said that it was a fine proof of his love for the country. His inability to converse in Tamil did not affect the least his tremendous love for the country, or for his community. Anyway she said that his could have been a different story if he knew Tamil. “Things would have been totally different. Again the core of the issue of the country goes back to the language,” she added. She was in the US when her father was murdered. It was her friend Cherina who phoned her up to convey the shocking news. Everything else after that remains blurry.. The greatest is gone and he is our hero. The measure of the man . It is a pity that they do not make them like this anymore ! Now we have to settle for fellas who end up before the Bribery Commission .